First of all, I’d like to say a big THANK YOU for all the wonderful birthday wishes! I received so many messages/phone calls/texts from friends and family, and most notably, a birthday serenade from my amazing second family, the Kempers. I feel very loved, thank you! I thoroughly enjoyed closing out my 20s, and had even more fun breaking in 30. Let me assure you, 30 is not boring! Dad came in town a few days before to spend the week with us in California. 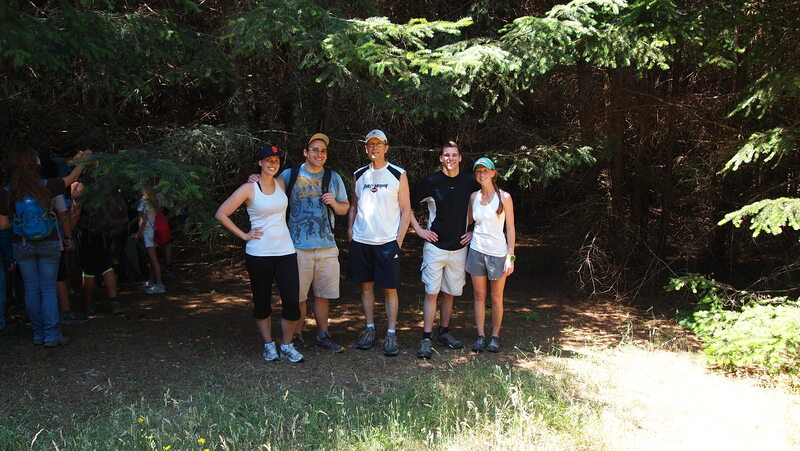 We went hiking, and running, and hiking, and climbing…. All things I absolutely love. In case I was worried about being in shape, well, I’m definitely not anymore. Outdoor adventures paired very nicely with the numerous birthday celebrations. We had a lovely dinner with friends and family at the Fishmans, and then a 4th of July/Meg’s 30th continues party at Auntie & Tio’s, accompanied by Charneth (the bling master) and family. Fun was had by all, including the infamous Tio cake and making the birthday girl prance around in goofy garb (see evidence below). 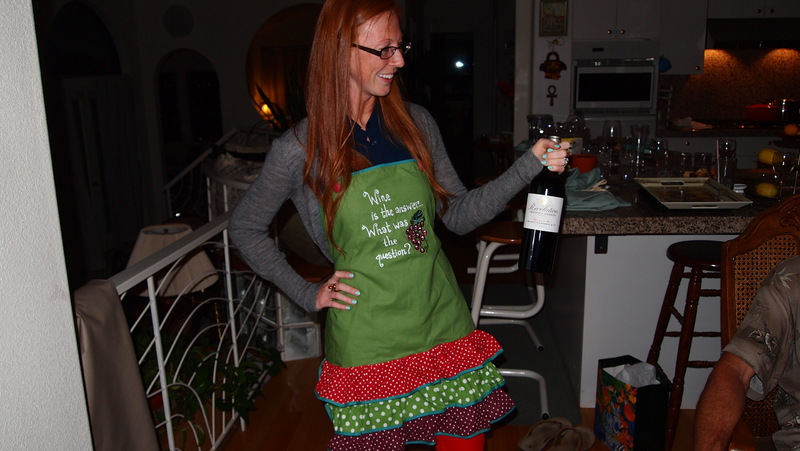 When you turn 30, you get to wear bright red pants and a fun apron. If turning 30 was this much fun, I can’t wait for the next decade! 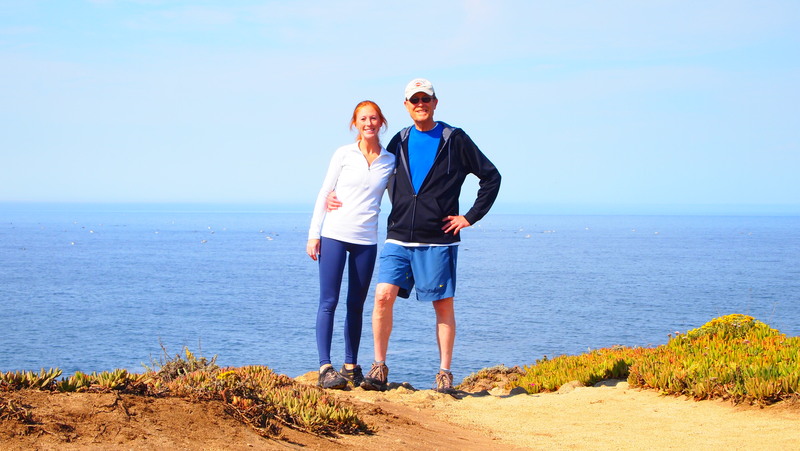 This entry was posted in Health and Lifestyle and tagged 30th Birthday, birthday adventures, Happy Birthday, hiking California coast, Tio cake. Bookmark the permalink. Love the 30’s garb and especially the wisdom of the apron. All those wonderful people were blessed to share your birthday celebrations. Love you!